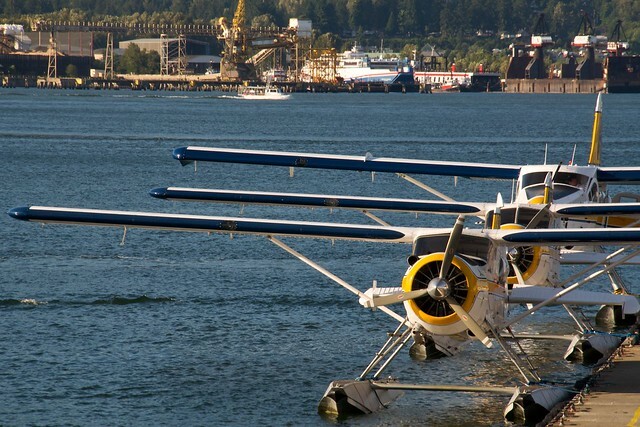 Vancouver's Stunning Harbour Air Seaplane Tours - Win a Free Tour! Looking to experience Vancouver from a perspective you’ve never seen before? Why not try an aerial view from about 2,000 feet in the sky! Did you know that just a few blocks away from the Pan Pacific Vancouver is one of BC’s most iconic tourist attractions and activities? 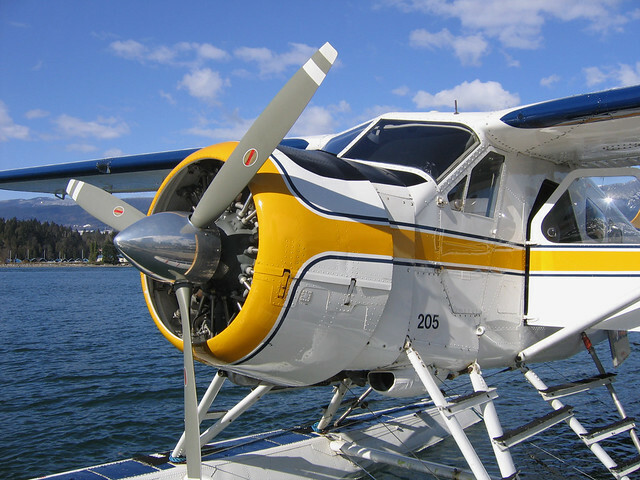 Harbour Air Seaplanes is the largest all-seaplane airline in the world with daily scheduled flights between downtown Vancouver, downtown Victoria, Nanaimo, Comox, Richmond, Sechelt, Whislter and the Gulf Islands. With over 30 years in the business, HA is known for its jawdropping seaplane tours that offer visitors to the city a beautiful perspective of Vancouver they won’t be able to find anywhere else. You can take a short 30 minute tour of the city or choose to travel as far as Whistler, Sunshine Coast, the Gulf Islands or Vancouver Island. They offer a variety of tours with family rates and additional stop over activities to choose from. Here’s your chance to win a Free Vancouver Panorama Tour for 2 – which departs from Coal Harbour and includes a complete aerial tour of the North Shore Mountains and surrounding parks and beaches (a $200 value). Contest closes and a random winner will be announced on Tuesday May 22 at Noon. Ticket voucher is redeemable up to 1 year. Where else can you see ocean and beach, mountains and snow, rainforest and city life in the same view? Each aspect of Vancouver life is majestic – whether it’s sitting on a beautiful patio overlooking the ocean, or hiking into the wilderness a few km away. But to have them all in one experience, one view, is completely unique and enthralling. Vancouver is the most beautiful city in the world due to the following: mountains, beaches, consistent weather, beautiful Summer days, etc. Vancouver is the most beautiful city in the world because the city is surrounded by amazing water and mountain, and not to mention all the amazing food in the city. The beaches, the ocean, mountains, and of course the people! Vancouver, British Columbia … trees / oceans / mountains / multiculturalism / winters that aren’t too, too cold. The friendly people, the mountains & the ocean! Im a Landscape photographer… Ill let my pcitures do the justice.. I know this is said too often, but it is true. Vancouver is most certainly a beautiful city with the most amazing natural setting. Vancouver is the best city in the world for soooo many reasons. The beautiful Stanley Park in the middle of the city. The seawall walk. Amazing fashion. Any kind of food you could think of. The people are cool and relaxed (even in the big city). Due to it’s mild weather, temperate rain forest climate, it creates a wonderful playground for it’s multicultural inhibitions in all seasons. Where else can you go skiing in spring, then come afternoon go hang out at the beach in your bathing suit! Or eat a Japadog for lunch, then enjoy a dinner made with only fresh local ingredients? The ocean, mountains, and women. Vancouver is the most beautiful city in the world because of the group consciousness of its people. The residents care about their community, their city and their earth. That is true beauty. Vancouver is the most beautiful city in the world because everywhere you look you’ll see mountains and water, and there’s amazing food and people as well! Vancouver encapsulates the meaning of the word “perfect”. The wonderful down town core, world-class public transit, and ease of access of all things adventure make this city so great. Who wouldn’t want to live here? Vancouver is the most beautiful city in the world because you can swim at Kits beach with a view of snow capped mountains! The combination of the mountains, water, and parkland is just stunning. i can’t imagine what it would look like from up above! Vancouver is a beautiful, compact city nestled around the inlet of Pacific Ocean, surrouned by majestic mountains. It offers everything one can desire for a healthy lifestyle and/or a short visit. You can do water sports, mountain sports, fine dinning and superb cultural experience all in one day in here! It has numerous historic and recreation sites that you can visit. Plenty of various dinning experiences and whole lot more! Just take a walk down one of it’s streets or shoreline paths… there is always something new to be discovered in here. Vancouver is the most beautiful city in the world because the people won’t allow the beauty to be destroyed. The fact that it is impossible to ever tire from the glorious landscapes that surrounds us, enveloping the rainforest weather in whatever it decides to bring. The way the light hits the water and the mountains, the fresh air, the trees, and the people all make Vancouver an amazingly beautiful city. Vancouver is the most beautiful because you can spend the morning at the beach with a view of snow-capped mountains, spend the afternoon in the forest surrounded by wildlife, then retire to a relaxed evening with a view of the spectacular, lit skyline! Vancouver – I grew up here and spent the next 25 years trying to get back. I made it. Did you? Vancouver is the Most Beautiful City in the World because it is the only city where you can eat every culinary dish from around the world, experience the wild the 404 hectare inner-city Stanley Park, tan on the beach, sail in the ocean harbours, scuba dive the ocean depths, hike rugged mountains or ski in one of the top skiing destinations in the world… all in one day within the cleanest and purest air and waters around. What city can beat that?! Vancouver is the most beautiful city in the world because of the combination of mountains and ocean. Vancouver is the most amazing city, for all the great people that live here,All the ethnic backgrounds, bring such a beautiful balance to the city, along with, its,scenic backgrounds of earth, ocean and mountain. When I visit Vancouver what I enjoy most along with the beautiful ocean, Stanley park, the mountains, the trees, the beautiful homes are the friendly people that are always willing to make small talk and help with directions. As well, the shopping and food is always amazing! Vancouver is the most beautiful city because of Stanley Park and Kits Beach. Would love to be able to experience such beauty from a birds eye view! Thank you all of your entries! Thanks everyone for your submissions! Be sure to check back on the blog for our next contest! Your comment came in as the lucky winner of the Harbour Air Tour of Vancouver!